Please telephone or email us with any enquiries, alternatively you can also use the form below. 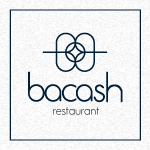 Thank you for contacting Bacash Restaurant. Lunch: Monday to Friday from 12:00 noon. Dinner: Monday to Saturday from 6:00 pm. Bacash is proud to present Wine Folke, an online store dedicated to our (and your) love of wine. Check it out now… wine.bacash.com.au You must have an account with Wine Folke in order to see pricing and to make purchases, for an invitation please contact Fiona.